Sudanese President Omar Hassan al-Bashir looks on during a meeting with Sudanese political leaders in Khartoum in the early hours Friday. The International Criminal Court has issued an arrest warrant for al-Bashir on charges of war crimes and crimes against humanity in Darfur. 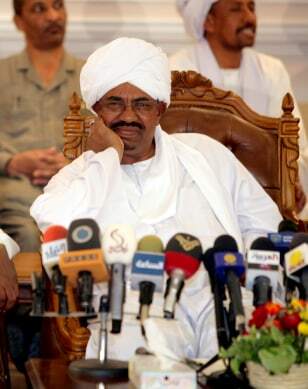 In response, al-Bashir expelled key foreign aid agencies.